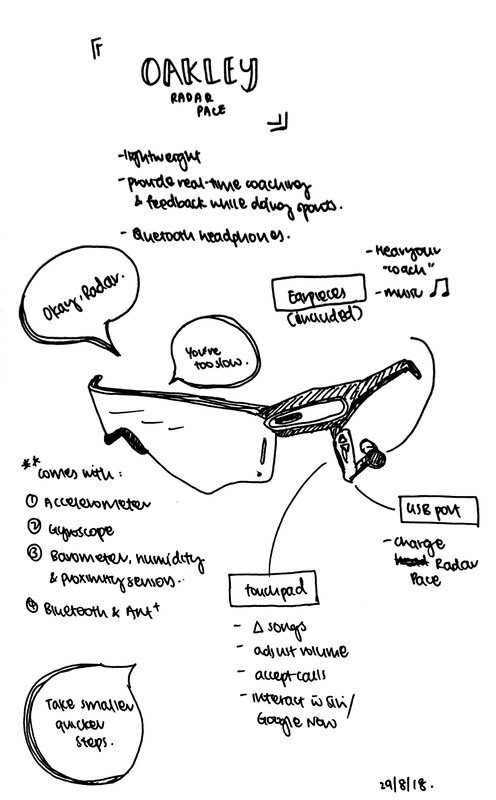 Wearable Studios – Page 26 – Based on work by Hannah Perner-Wilson, Andrew Quitmeyer, Rad students, and more! The newest technology for athletes. Useful for lightweight and comfortable workout sessions with real-time coaching feedback. Activate the sunglass by saying ‘Okay, Radar.’ Radar Pace will then provide feedback on your workouts while you’re exercising; “Your stride rate is low. Smaller, quicker steps.” Helps the athlete to maximise and optimise workout performance. 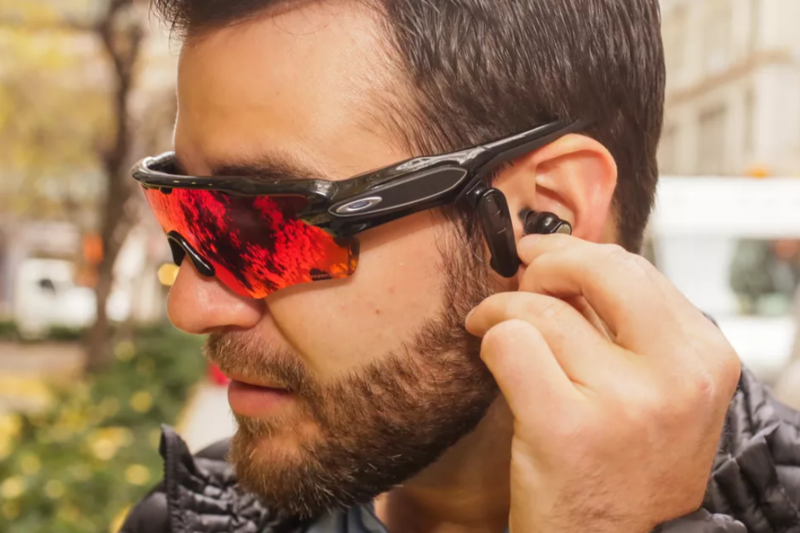 Both utility and fashionability considered with the stylish sunglasses from Oakley able to monitor and track your fitness while on-the-go! This headset from EMOTIV is the basic headgear you need to read your mind (if you don’t already know what you’re thinking). 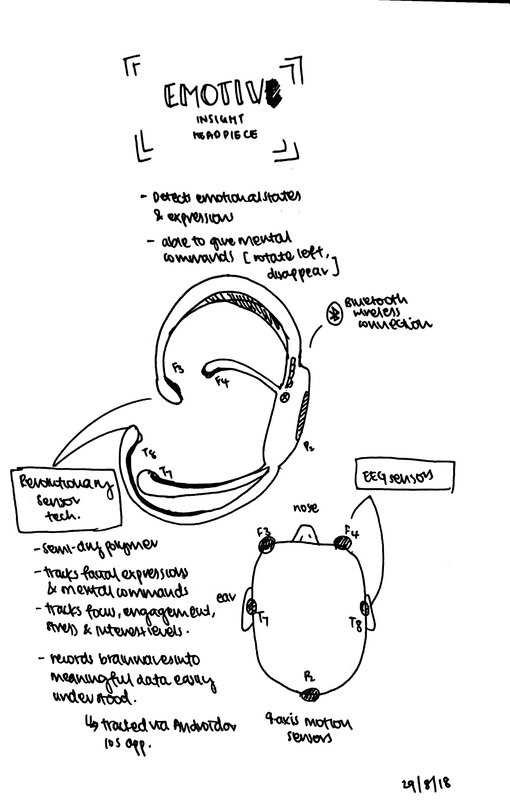 Suited for medical purposes as an advanced brainwear for performance and wellness tracking through mobile interfaces. 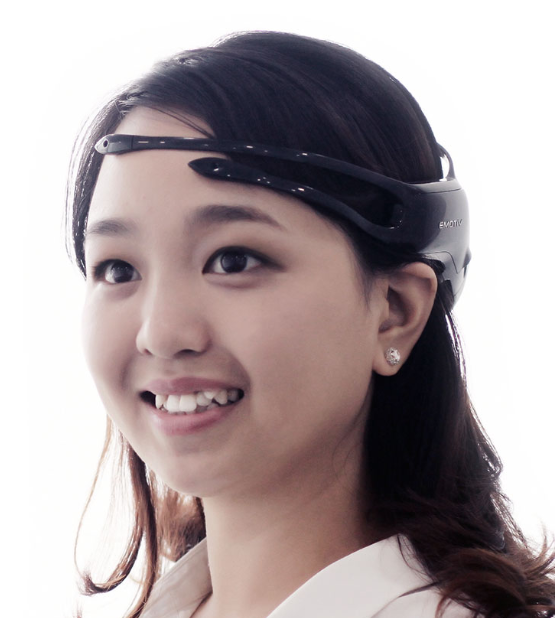 Insight is a 5-channel EEG device that allows the user to track his/her brainwaves and translate them into meaningful yet simplified, understandable data. 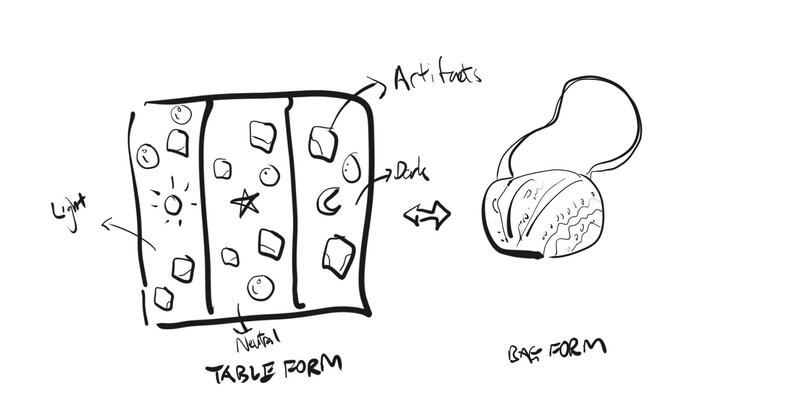 Done by attaching sensory polymers to specific parts of the head and by concentrating on certain actions say, “Draw a circle”. 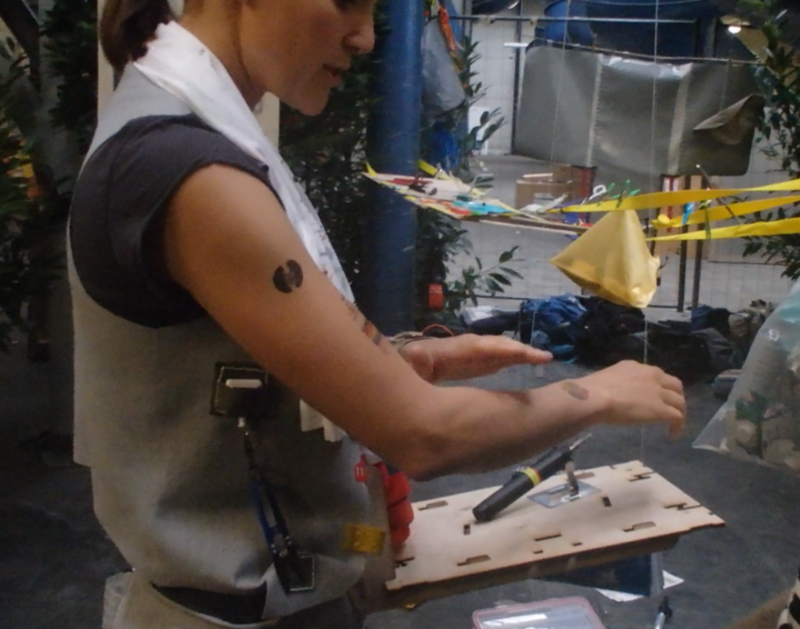 The brainwaves generated then will be translated onto a mobile interface. 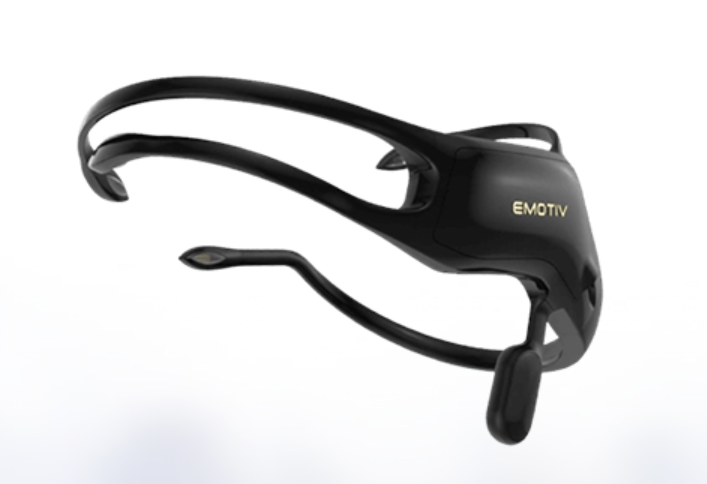 EMOTIV states Insight can have medical benefits for users such as helping people with ADHD improve their concentration. Utility is well-thought out but the aesthetics of the device makes Insight look like an alien particle latched onto your head to be honest. Upon researching on the historical significance of Shamanic clothing, I stumbled upon a discovery that each shaman possess a special wearable item that they carry with them known as a mesa. The mesa contains stones and other artifacts in which a shaman collects and earns during his training, with each item representing a certain element that reflects the shaman’s personal journey towards the mastery of their craft. It is a portable altar (where a shaman prays), which serves the shaman through different functions. These functions include, healing, ceremony, prayer and divination. The mesa itself can be carried as a bundle like a bag which the shaman carries. The bag is made of a folding cloth that can be unfurled in order to present the tools and artifacts that exist within it. Interestingly, the term mesa is also table in Spanish, which makes sense as the open bundle appears to be a mobile table that can be placed on any surface. The medicinal bag is thought out well! The mesa can be extremely fashionable with intricate designs adorning the cloth that is used to wrap the artifacts. Utility comes in the form of aesthetics and design as the mesa is actually split into three compartments that represent the light, the dark and the neutral space that exist in between. 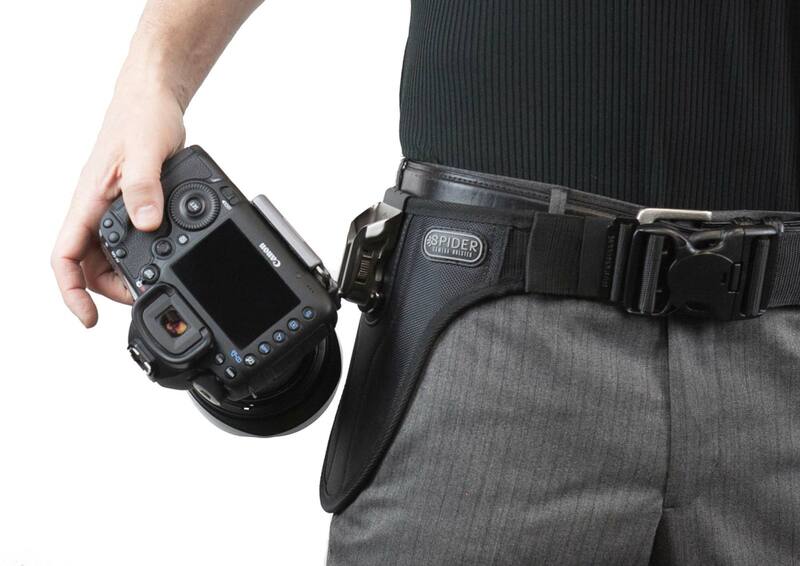 The SpiderPro Single Camera System v2 is the latest edition of wearable and functional tool for the avid photographer. As photographers sometimes need to be quick in order to adapt to the environment and make the shot before it is missed, the system attempts to resolve that with its functionality. The system comes with a “two-position lock” to provide the photographer the option to unlock it for a fast shot. It also comes with an auto-locking mechanism which gives the photographer immediate security in any situation. 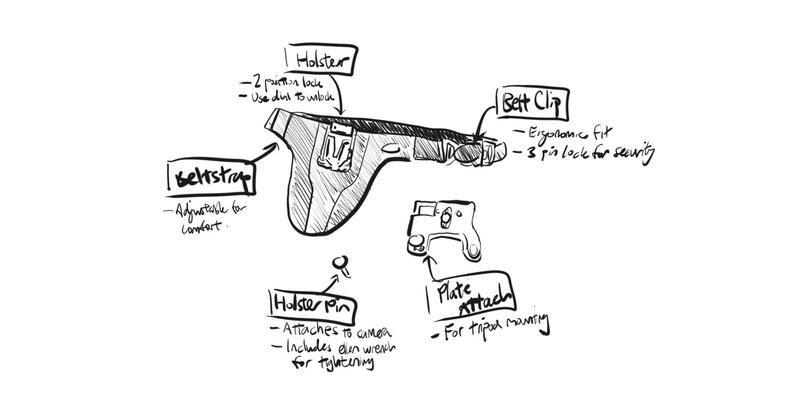 The belt clip has been redesigned by the company in order to provide the utmost comfort for the photographer and through its strapless functionality which is also its main value proposition – the photographer’s upper body is now free as the camera is easily equipped to the hip. The SpiderPro Single Camera System focuses a lot on its utilitarian functions and uses a simple design for its fashionability. It does not offer more on colors and is basic in its aesthetics for its sheer metallic holster and the black woven belt design. Perhaps in that area as well, it serves to also provide the photographer with a bit of camouflage as it could easily blend into the photographer’s body and match his or her clothing. There is no specific practice that the Tread is specifically designed for. 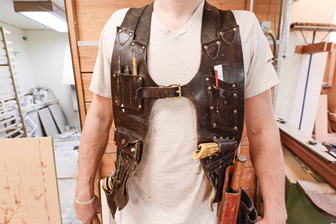 However, it is the most practical for jobs that deal with maintenance and repair, such as maybe bike repairperson, or an electrical appliance repairperson. 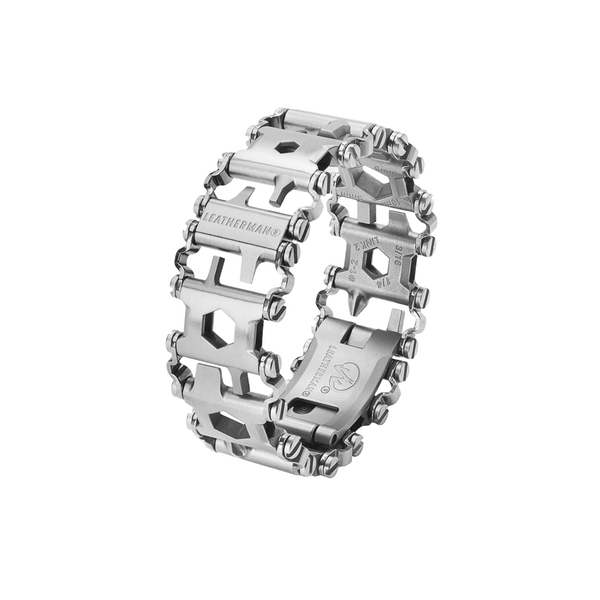 It is a wearable multi-tool bracelet, that features 29 different tools and customizable links. It consists of 3 Phillips, 3 screwdrivers, 6 box wrenches, 8 hex drives, 2 flat screwdrivers, 1 square drive 1 oxygen tank wrench, 1 carbide glass breaker, 1 pick/sim card tool, 1 cutting hook, 1 socket drive adapter, and 1 bottle opener – all of different sizes. This all in one bracelet reduces the need to carry around 29 of those individual tools. This wearable tool has great mobility as it is a compact device that fits a total of 29 tools around users’ wrists. It is an extremely useful tool if you regularly need to make use of wrenches and drivers – especially if you need more than 1 size of those tools. The design of the bracelet is also simple and sleek. 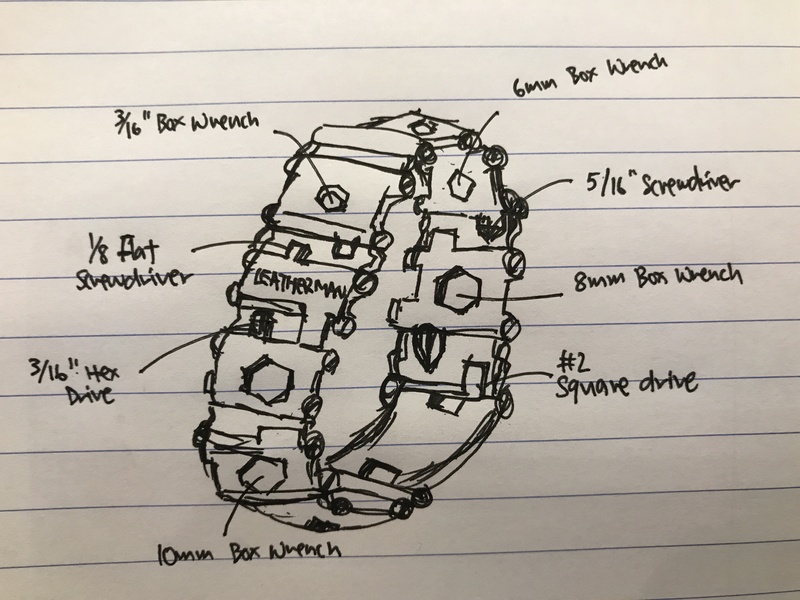 The reviews of the Tread showed that users found the tool functional, and one of them also mentioned using it as an Apple Watch band. 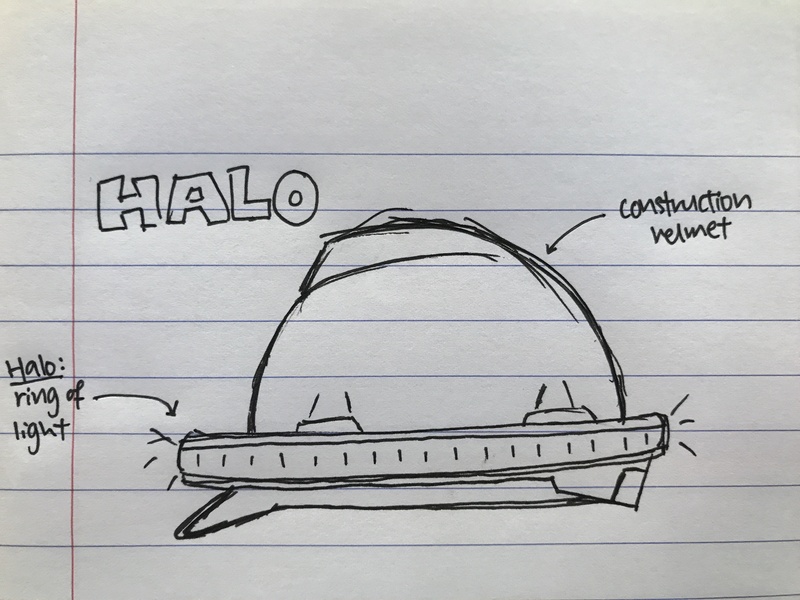 The main purpose of the Halo is meant for construction workers. But can also be used for any occupation that requires a light source. The Halo is a “Personal Active Safety System”. 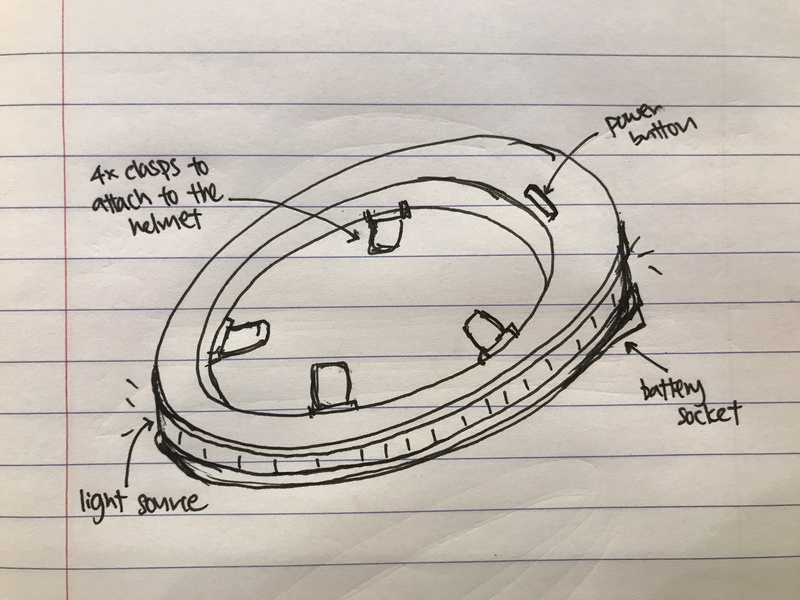 It is a ring of light that is attached to the helmets of construction workers, enabling them to see and be seen over ¼ mile away, in all directions, at all times. The device produces up to 202 lumens in 360°, whereas the usual headlamp produces only 50-70 lumens in one focused direction. This is especially useful for when they work at night or at a dimly lit area. This wearable tool is of great mobility. It is lightweight (284g) and cord-free (runs on battery), that just sits around wearer’s helmets. Having a light source is vital in the line of construction work, especially when they are working in a high risk environment – handling heavy equipment and prone to serious injuries. Thus visibility is of high importance. The design of the Halo is very simple and minimalist, that does not look ugly nor bulky. However, I would feel that it is more practical than fashionable. –Don’t duplicate ones that have already been done.